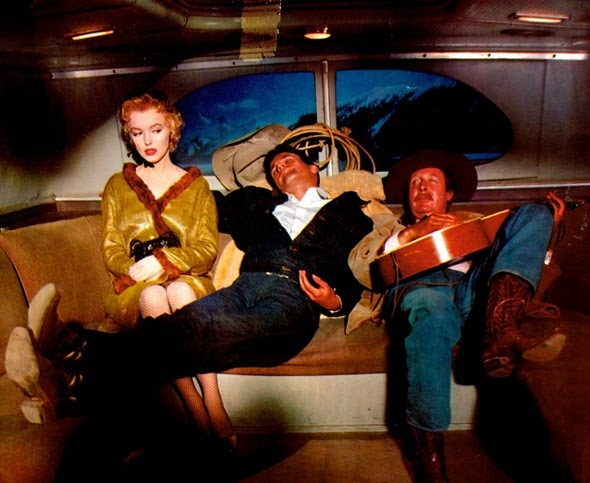 Directed by Joshua Logan, and written by George Axelrod, Bus Stop (1956) marked a turning point in the career of Marilyn Monroe... with it being the first film she made after studying at the Actors Studio in New York. The story concerns a naive, lunk-headed rodeo cowboy who decides he's going to marry a dance hall girl whether she likes it or not. 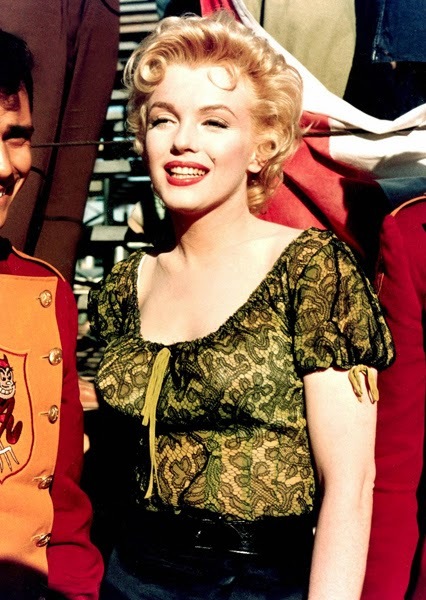 Marilyn Monroe is excellent, looking gorgeous and displaying a wide range of emotions. 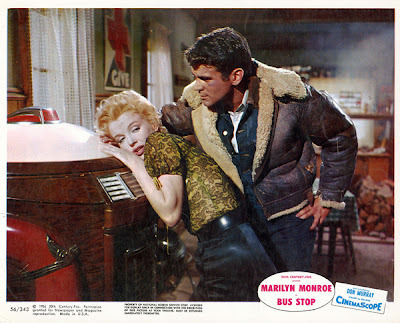 Don Murray is good, presenting one of the most annoying male characters of the mid-1950's. A solid effort all-around, with Marilyn Monroe singing the hit, "That Old Black Magic."